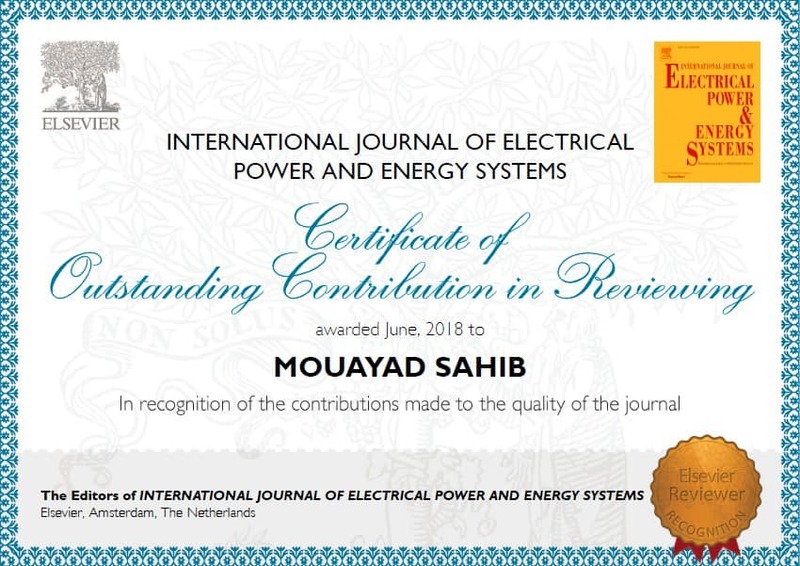 Dean of the Faculty of Engineering receives two certificates of appreciation from the publisher Elsevier. Dean of the Faculty of Engineering receives two certificates of appreciation from the publisher Elsevier The Dean of the Faculty of Engineering at the University of Information Technology and Communications Assistant Professor Dr. Moayad Abdul Rida Sahib received two certificates of appreciation from Elsevier Publishing House. 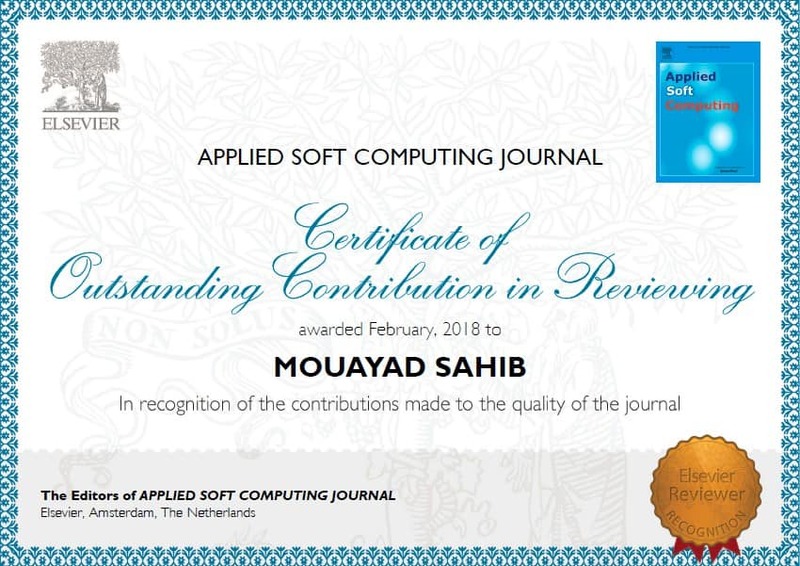 Dr. Moayad Abdul Rida, recieved the award ofexcellence for evaluating a number of scientific studies by two global journals of Elsevier, the International Journal of Electrical Power and Energy Systems, Applied Soft Computing Journal, a soft computing application journal. It is worth mentioning that the Dean of the Faculty of Engineering at the University of Information Technology and Communications has been chosen more than once as the arbitrator and evaluator of scientific researchs published by these international journals.